The BJP is often accused of siding with the corporates and neglecting the rural sector. However, one of the major highlights of Finance Minister Arun Jaitley's 2016 Union Budget has been the decision to give the rural economy a big push. Jaitley said that one of the major goals of the government would be to double incomes of farmers in the next five years. 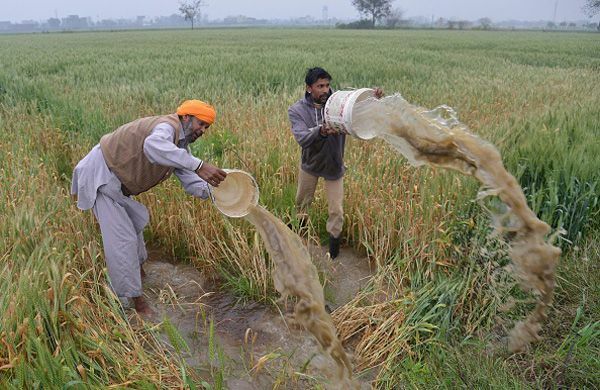 Jaitley announced an allocation of Rs 35,984 crore to improve farmers' welfare. Rs 9 lakh crore has been allocated to use during natural calamities that affect the farmers the most. A dedicated irrigation fund worth Rs 20,000 crore has been allocated. A Rs 60,000-crore project to develop safe groundwater sources. Rs 500 crore initiative for better production of pulses. Jaitley allocated Rs 5,500 crore to the PM Fasal Bima Yojana. Rs 8,500 crore has been allotted towards rural electrification. The government plans 100 per cent rural electrification by 1 May 2018. 385 billion rupees has been allocated to the rural jobs programme. Jaitley announced that the government will provide LPG connections in the name of women in rural households. Rs 2,000 crore will be allotted for this purpose.